Climate talks are happening again — this time in Doha, Qatar, a country whose wealth is entirely built on petroleum and which has the highest carbon emissions per capita on the planet. Maybe that’s fitting, since once again the talks are dominated by the flagrant hypocrisy of the globe’s major industrialized nations. Led by the U.S., they seem set to do nothing but dither as the planet burns. In recent weeks, even the World Bank has seen fit to warn that we must slash emissions drastically — starting now — if we are to avert utter catastrophe. It is well to remember, therefore, what our children and their children will be dealing with. Last year, we spoke with science fiction writer Paolo Bacigalupe, about his young adult novel, Shipbreaker. It takes place around 2100, the time when the World Bank says we could be seeing the earth’s temperature around 5 degrees Centigrade higher than today. Seas will have risen to drown our coastlines, and most people will be scrabbling just to survive. This is the world of Bacigalupe’s young protagonist, a young man who works salvaging the wrecks of our world as he comes of age in his. Filmmaker Susan Rockefeller lives part of the time in Bridgehampton, NY on the East End of Long Island. The sea is in her blood and in her bones. But it wasn’t until she read an article by Elizabeth Kolbert, called “The Darkening Sea” that she decided to create a cinematographic love letter to the ocean, Mission of Mermaids. Kolbert’s article is about how the carbon emissions we are spewing into the atmosphere are making the oceans more acidic. That means many marine animals, like shellfish, won’t be able to survive. That’s a huge hole being blown into the web of life on which we depend. But Rockefeller’s short film isn’t doom and gloom. Instead, it explores the myth, meaning and science of the oceans and reminds us of our deep connection to them. 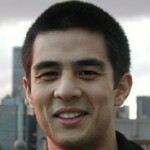 Jason Chin – Holiday Gift Pick! Grown-ups who are looking for a book to give a young person this Holiday season need go no further than author and illustrator Jason Chin. He’s a master at telling stories about the natural environment. His books, Redwoods and Coral Reefs combined gorgeous illustrations with sophisticated science expressed in simple and engaging language. 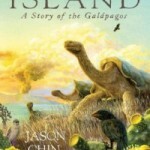 His new book, ISLAND: A Story of the Galapagos, does no less. The protagonist is one of the islands formed by a volcanic eruption millions of years ago in the Galapagos. Chin tells the story of its birth, growth, adulthood and old age — and along the way, explains the science of evolution and introduces the reader to a multitude of creatures of the land, sea and air. The book can be enjoyed by people of all ages, including kids from kindergarten through the middle grades.